Our goal is to promote and implement safe sanitation and drinkable water. Sanitation is an ongoing issue in developing countries. What is a safe sanitation approach within the financial restrictions? We can work with you and identify the most viable approach with the population that you are working with. 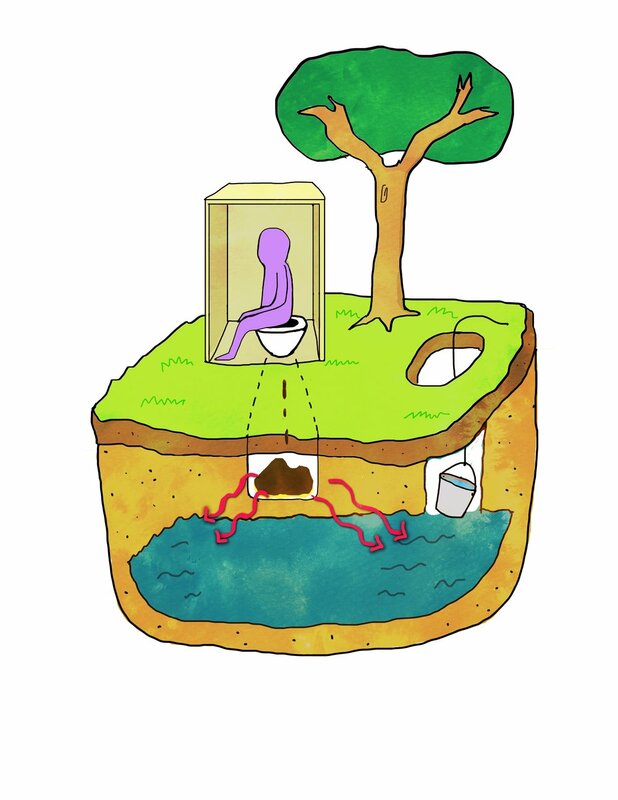 At times a simple pit or trench latrine is the best solution while at other times urine diverting dehydrating toilets (UDDT) will be the right choice when growing crops and fertilizer is needed. How do you identify a central sewage processing plant that is safe and does not continue the cycle of polluting the affected area? The plant must process the sewage with the outflow being benign with no negative health effects. In addition, the plant must be able to be serviced by the local population and repair parts must be readily available. Urine diverting dehydrating toilet (UDDT). No water contamination. Diseases have afflicted mankind since the dawn of time. For most of that time no one understood the relationship of sewage/poor water and diseases. With the understanding of pathogens and how they are spread everyone should have access to pathogen free living conditions and clean water. This website provides the needed information on destroying all pathogens from sewage and in addition providing the best fertilizer for crops. In addition, there will be no pathogens contaminating the water supply from the sewage. If there is a chance of pathogens in the water there is a section on water filters to remove the pathogens. Many developing countries have inadequate sanitation that results in sickness and disease that strike the young most frequently, requiring financial resources to cure. If the diseases could be minimized through proper sanitation then the money saved could be allocated to improving people’s lives in other areas such as education or better nutrition. Proper sanitation is key to solving the endemic diseases that affect the developing world. The sanitation system must be easy to use and maintain, and be acceptable to the community. If the local community does not accept the sanitation system, then it will not be used and will serve no useful purpose. Proper sanitation will produce a sanitary environment including clean water that may not need to be further sanitized.